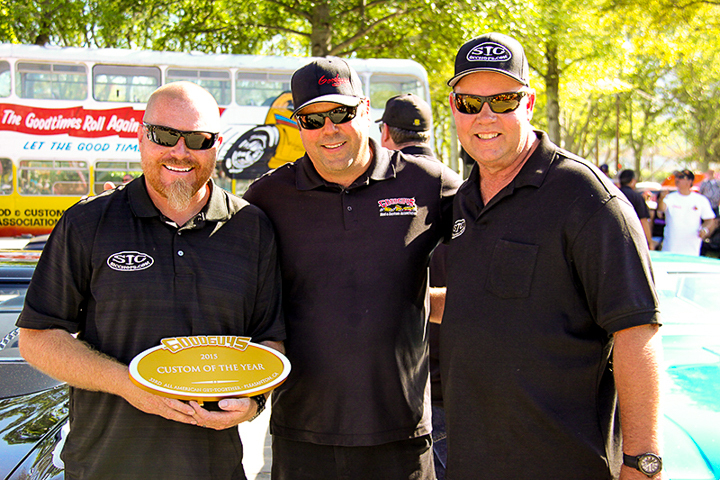 The Goodguys Rod and Custom Association recently named their Custom of the Year at the 33rd Annual All American Get-Together in Pleasanton, California. 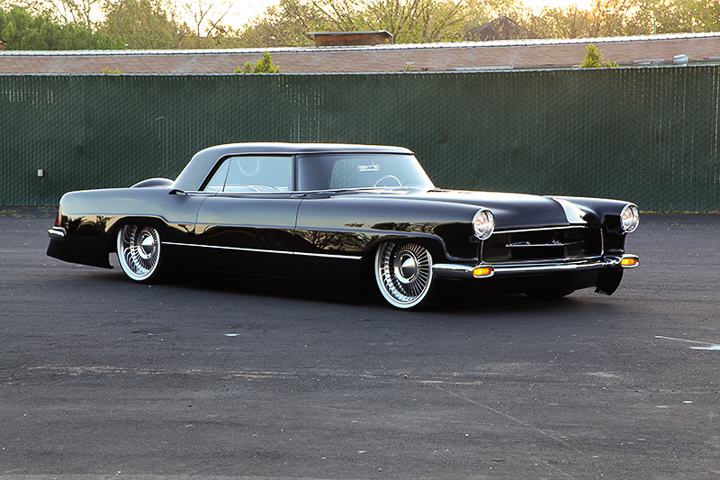 The lucky winner was David Hoekstra and his incredible 1956 Lincoln Continental Mark II. The chassis of the car is a fully custom, one-off piece built by Roadster Shop. Suspension duties are handled by a complete C6 Corvette setup, Wilwood big brakes handle stopping power, and a rack and pinion steering setup points the car where it needs to go. Power from the 8-stack injected 520 cubic-inch Ford V8 heads out to a Ford 9-inch rearend loaded with a set of 3.73 ratio gears. Scott Laitinen of Scott’s Insane Chops aka SIC Chops built the car for Hoekstra. Laitinen chopped the roof a moderate 2.5-inches and has the rain gutters completely filled. The car still uses Original Equipment Factory uncut glass for the windshield and doors. The sheet metal looks relatively untouched but every panel has been tweaked, smoothed, or modified. 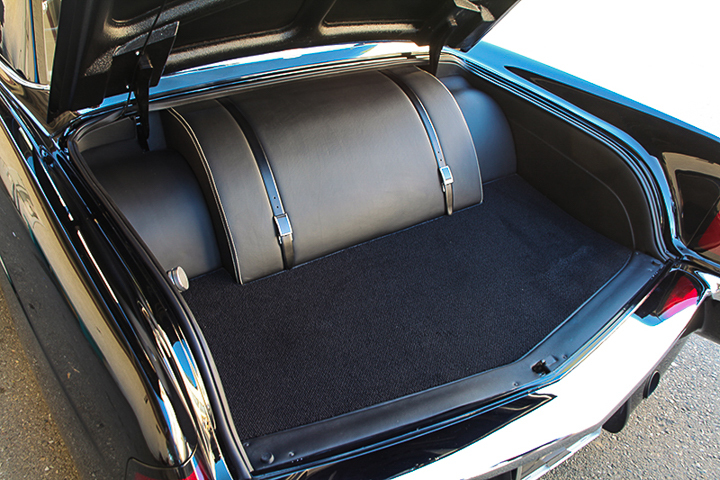 A fully custom firewall and floor pan were built and welded in to the matching custom rocker panels. 8-way power Lexus seats add to the comfort and luxury of this modern retake on an old classic. 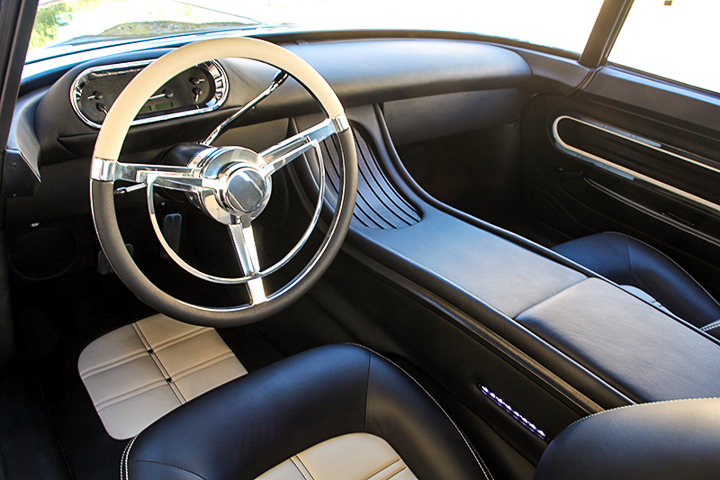 The seats were wrapped in black and white leather with black Onyx and stainless steel cuff link buttons. One-off Dakota Digital gauges keep the driver in the know and a full Kicker sound system keeps the tunes rolling. A car like this definitely deserves the title of Custom of the Year. 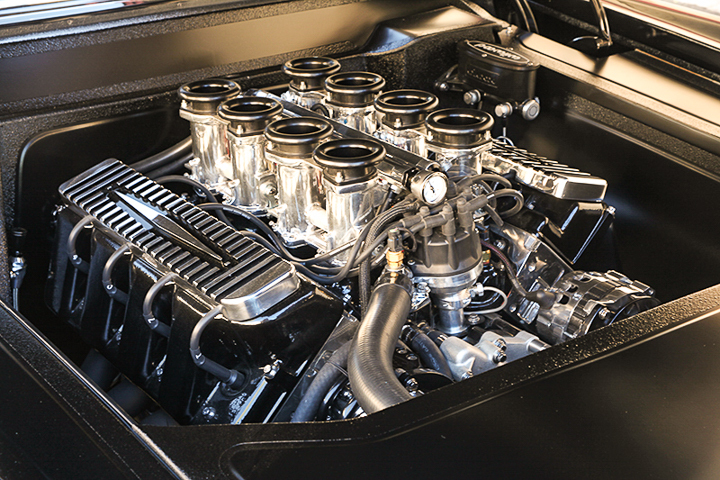 It seamlessly brings the modern tech world into the heydays of hot rods without even breaking a sweat. 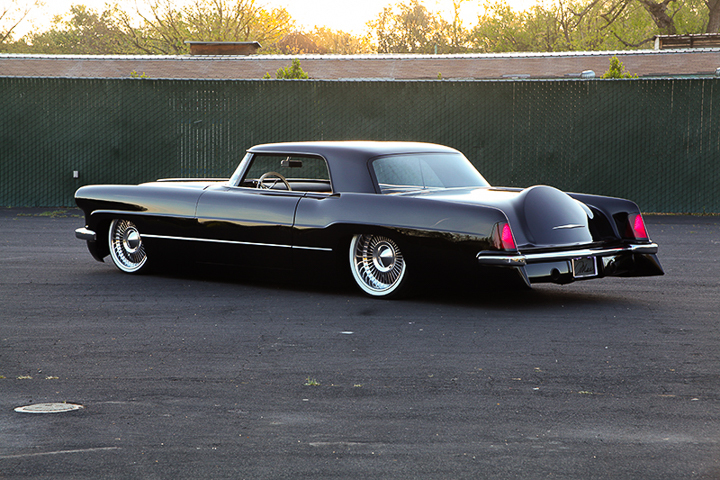 David Hoekstra’s 1956 Continental Mark II – winner of Goodguys 2015 Custom of the Year award. 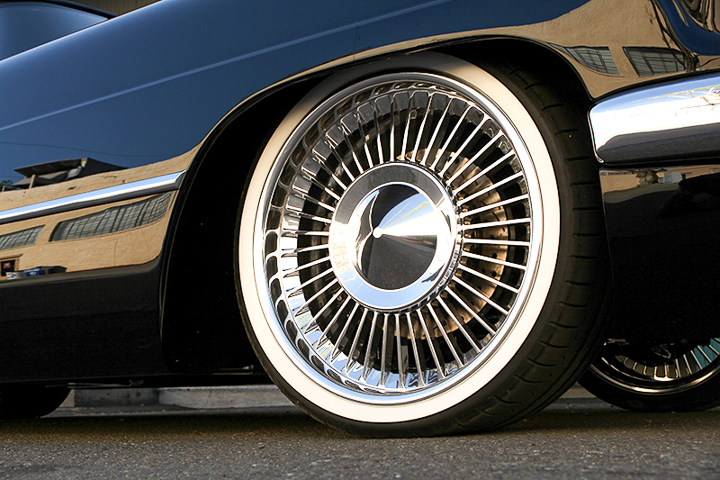 David Hoekstra’s 1956 Continental Mark II rolls on one-off Colorado Custom 40-spoke wheels with machined bullet center caps. The white stripe Michelin Pilot Sport are the tires of choice. -Builder Scott Laitinen (left), Goodguys President Marc Meadors (center) and owner of the 1956 Lincoln Continental II David Hoekstra celebrate the big win in Pleasanton.